Rexton Men's Silver/Black Velvet, 0.600" round, 50 gm., Men's Standard Size. New great-feeling velvet style grip with a slash of style. Frequent re-gripping is proven to save you 3-4 strokes per round. Re-gripping is as Easy as 1 - 2 - 3. 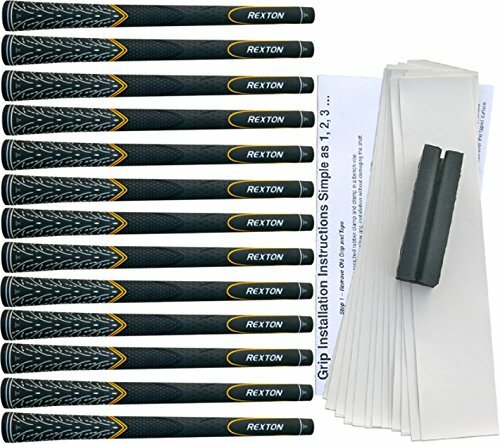 13 x Rexton Men's Black/Silver Velvet, 0.580" Round, 50 gm., Men's Standard Size.